Even as the world has moved from paper to digital, most of us are still in jobs that involve the movement of multiple documents from multiple people! It’s still the same juggling process, but without physical documents, it’s even harder to visualize what you need and what’s missing. Time to step up your game with today’s discount software promotion, Clust Document Collection! Clust Document Collection lets you collect, approve, and organize documents from multiple sources, quickly and easily. With Clust Document Collection, you’ll be able to consolidate the work of web apps, fax machines, scanners, and paper workflows into a single, seamless, collaborative solution. How does Clust Document Collection work? 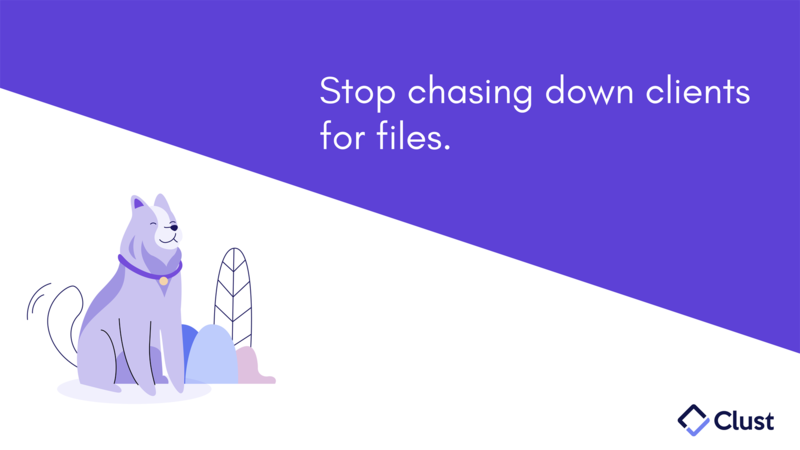 Just build a request of files that you need from your client, generating a secure link that they use to return documents, provide follow-up, and message you, anytime, anywhere. Automated reminders continue to remind clients so that you don’t have to! Once they get you those files, use Clust Document Collection to review, approve, or return documents for correction right in the app, and invite others to review and comment as well! Best of all, Clust Document Collection uses AES-256 encryption, the same used to safeguard financial institutions, so all of your documents are safeguarded at all times! After you purchase Clust Document Collection it may be used indefinitely. Clust Document Collection is licensed per website domain. Each license allows installation on all owned computers, and Clust Document Collection may be used at exactly the same time on each of them. Clust Document collection Clust is the new way to collect client documents and information. Request a list of documents or files from clients, automatically remind them to return all documents in time, approve or deny received documents and collaborate with colleagues right from the tool. No technical skills required, we help you get started and train your team members. Join thousand of modern businesses and supercharge your document collection process! Is this deal for lifetime access of Team plan? The deal is for 12 months for now. And can be extended one time upon request. Nico Westerdale Great News! Clust has agreed to extend this deal for another day - Enjoy!